A year ago I handed in my final university assignment. I walked out of the Media School for the very last time, saying my goodbyes to Sulley (if you’re a BU student, you just know) and made the mammoth trek back to my family home… on the U2 bus to Poole in ten minutes. As someone who stayed at home for university, it’s safe to say I didn’t quite have the “conventional” experience. What I did share with my classmates though was the familiar sense of dread at actually having to go out into what I perceived to be the “adult” world. What was I going to do with my life now it didn't revolve around writing articles, planning presentations and stressing about grades? Despite graduating with a 2.1, I had no idea about what I was really good at, or even what I wanted to do with that qualification. When asked the awful question of “So, what do you want to do with your life?” that all pending graduates hear (likely on a daily basis before graduating) I would laugh it off and shrug my shoulders in jest, but in truth, I just didn't know. Now, a year on, I find myself handing in my two week notice at my current role as a Marketing and Communications Intern at Borough of Poole after joining the organisation ten months ago. This time around, however, I’m feeling slightly more assured in my aspirations and I’m actually looking forward to delving into the unknown yet again. A new job as a Communications and Social Media Assistant awaits me, bringing with it a better wage and a location closer to my Bournemouth flat. Compared to this time last year, things feel more as if they’re falling into place. That’s not to say that I still don’t wonder about where I’ll be in a year, or five years time. I still wonder about what my niche is, or if I even have one to offer. That being said, I know I’m not the only one. So, I’ve decided to dedicate this blog post to those in a similar situation and serve as a sort of message to say it’s okay to not have a plan, to take it as it goes and do whats right for you. Typically speaking, I didn’t exactly pursue the generic concept of graduate and get on the career climbing ladder. I kind of went backwards! I know some of my fellow graduates have taken time off for a much needed breather. Some have gone into further education. Whereas me? I did what most undergrads do in their second year at university. 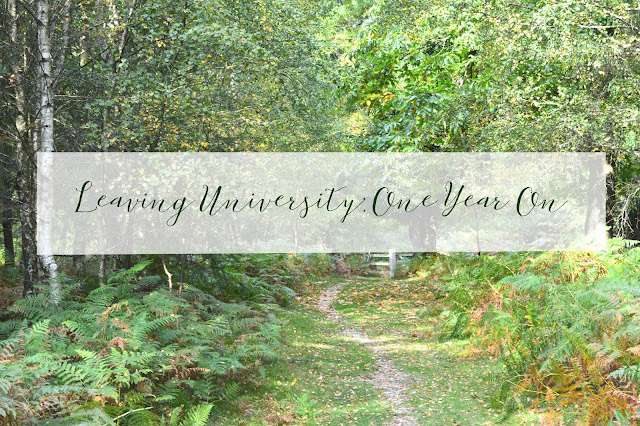 In my second year, I decided to try teaching for four weeks during my placement. I immediately decided that, whilst it was fun and enjoyable, it wasn’t for me. Whilst I had no idea about what I wanted to pursue after my degree, I knew it included writing. I’m glad I figured this out then, rather than follow this through by thinking it might work for me after finishing my degree. So, once I saw a job opening for a Marketing and Communications Intern, I knew this was the perfect opportunity to try something else on for size. If I loved it, then great. If I didn’t, well, then at least I gave it a shot. The verdict? I liked some, if not most, of the elements of working in Public Relations. Meeting new people on a regular basis, keeping tabs on the latest news and being the first port of call for the media on duty days meant that no day was ever really the same. However, what I found myself enjoying most was the creative element of curating newsletters, editing content and planning social media messages for the week ahead. As the end date of my temporary contract loomed nearer, “content” and “social media” were my most used words when searching job sites. I did have a few interviews (and a few rejections! ), but was so happy to be accepted for a role that incorporated both content writing for a company blog and helping to manage their social media posts. Whilst it’s daunting to be leaving a position that I’ve become so accustomed to over the past ten months, I’m excited for this change. This time has taught me that I’m better adapted to stepping outside of my comfort zone than I thought. Before my internship, I always figured myself to be someone quite shy who found it difficult to pick up the phone to someone unknown without staring at it for a good half hour. Now it’s not so much of an issue - even if it has lead to some pretty awful and unintelligible voicemails on my part! In short, I’m doing what’s right for me, right now. There’s no major plan. I’ve realised there is no “one size fits all” option and, whatever you decide to do, use it as a lesson. I’ve even realised that my degree is not the be all and end all. What I do know is that this is the time to test the waters and to unapologetically disregard anything that doesn’t serve to make you happy. It’s time to figure out what it is that will get you out of bed in the morning, devoid of that horrified groan at spending eight hours a day doing something that doesn’t fit you. My advice? If it doesn’t, change it. One of my favourite quotes is “When a flower doesn’t bloom, you fix the environment in which it grows, not the flower”. This is our time to grow.